Many of these items are available from our FrogShop Catalogue. 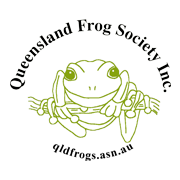 Enquire to check if we sell the item you are after, or go to the FrogShop page. Australian Frogs, Michael J. Tyler, Viking O’Neil, Penguin Books Aust Ltd. Ringwood Victoria, 1989.